Yorkton’s Kade Johnson and Saskatoon’s Shaun Dunphy are happy with their performances at the Canadian Men’s Amateur Championship in Duncan, B.C. 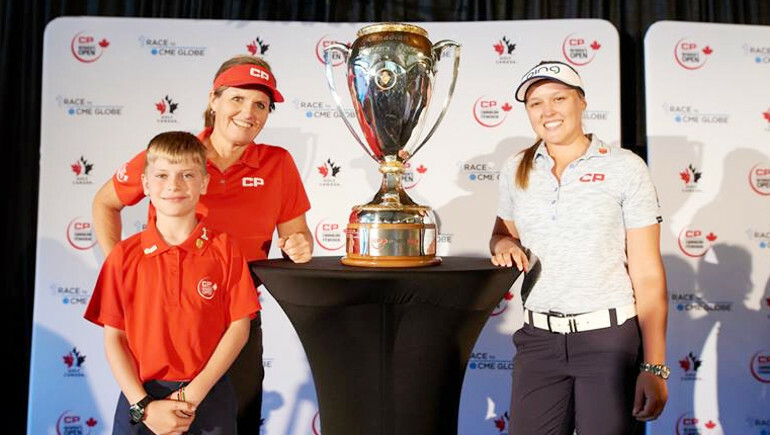 The pair were the lone Saskatchewan representatives to make the cut at the event that featured a field of over 250 golfers. 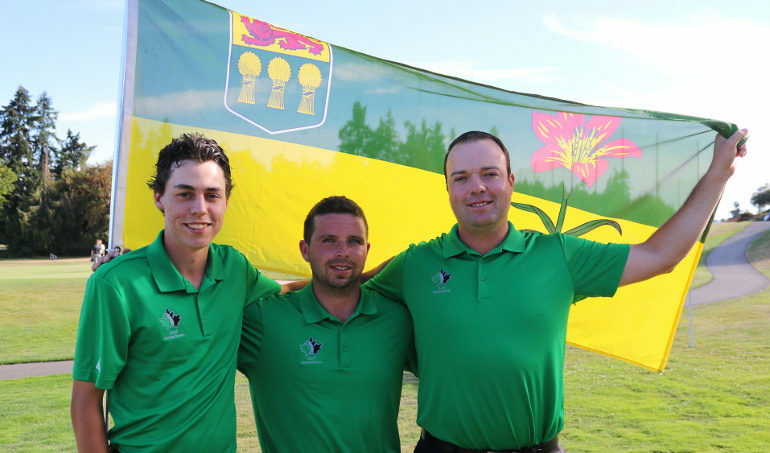 Johnson, the Saskatchewan champion, was the top golfer of the nine that participated from the province. Johnson, 19, finished in a tie for 56th at plus-5. He said overall the tournament was a fantastic experience. “I feel good, I had a tough day Thursday with the last round (plus-5) but overall it was a really great week. I was able to take a lot of positives out of this week, so I was happy with that,” he said. The Deer Park Golf Course player opened his tournament with a 73 in round one, he fired a 71 during the second round securing a position below the cutline. Johnson put his best round together on the third day shooting a 67, that elevated him to 20th on the leaderboard going into the final round where he shot 76 for a four-round total of 287. He said the score reflects where his game is at, among the best in the nation. “It was a great experience, it shows I can play with the better players in the country and the United States. A lot of these players, especially the last couple days are the top guys and I know I can compete with them. It is a big confidence boost, it feels good,” he said. The highlight of the tournament likely came during round one at the Duncan Meadows Golf Course when Johnson aced hole seven for his second career hole-in-one. He said having it come on the national stage was a nice feeling. Johnson’s stellar season in Saskatchewan is complete, he will head back to Southern Arkansas University on Wednesday for his third college season. Saskatoon Golf and Country Club member Dunphy is also pleased with how the national amateur played out for him. He finished in 71st place at plus-17. He said accomplishing his goal of sticking around for all four days was meaningful. “I feel great, I’m pretty excited to make the cut and competing. I wish the past couple days could have gone better but I’m still happy. This is a difficult tournament to make the cut so I guess it’s an accomplishment to do that,” he said. Dunphy, 30, was the top Saskatchewan golfer after round one when he shot a 69. That was followed by back-to-back 76’s. He finished with an 80 in round four. Attending his seventh national championship between amateurs and mid-amateurs Dunphy said he’s proud of all the Saskatchewan golfers. “The crew of Saskatchewan guys is great, it’s nice to hang out with everybody and play practice rounds together. We are a pretty tight knit group, we have a group chat where we talk and try to keep everybody positive. We just want to see as many guys do as well as possible,” he said. Dunphy will now turn his focus to the Canadian Mid-Amateur Championship later this month in Victoria, B.C. He will be one of 13 Saskatchewan representatives. He said he’s confident going into the event. “The game feels great; the putter went a little cold the last couple days but a lot of positives going into Victoria. I’m really excited, we have a great group going out there,” he said. Ty Campbell, Justin Wood, David Stewart, Roman Timmerman, Mike Herperger, Liam Courtney, and Keighton McNab all represented the province in Duncan. Team Sask. finished in fifth place in the inter-provincial competition that occurs over the first two days of the tournament. You can hear more from Johnson and Dunphy below who spoke with Golf Saskatchewan’s Clark Stork before flying home from B.C.